Want to be part of our pony days this year? 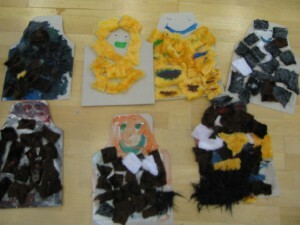 The art session is themed but is always open to a child’s individual ideas and needs. They are also aimed to discover and learn about different feelings and this can be done in many forms in a non-intrusive way. Whilst the hands on animal half of the day is only with our ponies, the art session can be themed for different age groups, different interests that the children have or simply an idea that arises by members of the team that they think would work well with the children. The children lead the sessions, but we give them our themes and ideas to support them with this. 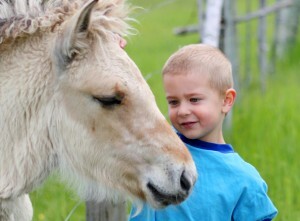 For example, the theme of the session may be ‘ponies’ , ‘primates’ or ‘cars’. All of these can be put into a form of story telling, by creating characters out of ponies, monkeys or cars. Drawings, collages, paintings, musical instruments, can all be created through arts and crafts, and can all contain different feelings and emotions. Life is full of emotions that we can come across on a daily basis, and these can be brought into the characters and ideas that we are making. The second part of the day is the hands on animal session with our ponies at a farm within walking distance from our art venue. The children will be able to take part in whatever way they choose to do. The activities available to them will include, stroking and patting the ponies, brushing the ponies, leading the ponies, sitting on the ponies and even riding them, all with experienced equine handlers and riders who know our ponies and their personalities very well. The children may even just wish to watch them if they don’t feel confident to do anything else. Parents/guardians must be present at each session. This is ultimately a free service but donations are welcome on the day to help us fund the art materials we use, and the ponies dinner!